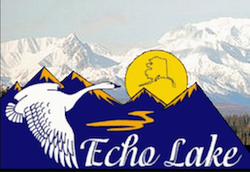 Echo Lake Meats is a diversified specialty service meat market initially established in 1976 and recently remodeled in 2013 to enhance and ensure on-going quality of excellence and superior customer service. Our location in Alaska is unique. We are close to the world famous Kenai River, where world class sport salmon fishing is easy access, and the superb big game hunting in our backyard. Our infrastructure and experienced personnel are established to serve the consumer for both retail and wholesale products, while processing the "catch" of the sport fishing and wild game enthusiasts with the most adequate care. Our production facility is DEC inspected for meat and poultry, state inspected for fish and dairy, and our production personnel have been HACCP trained to effectively administer the food safety standards.